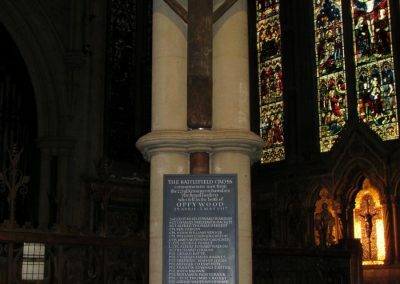 Location: St Mary Abbots Church Kensington, London W8 4LA. 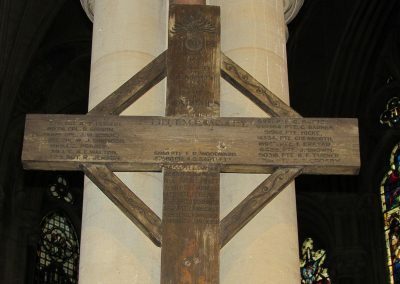 Condition (cracked, paint peeling, woodwork, damage etc): Fairly good condition, some fading and illegibility. 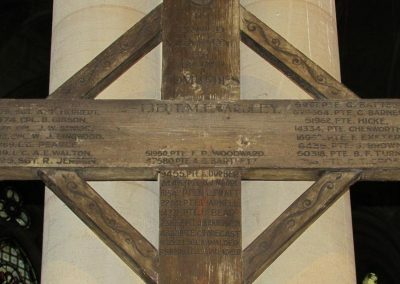 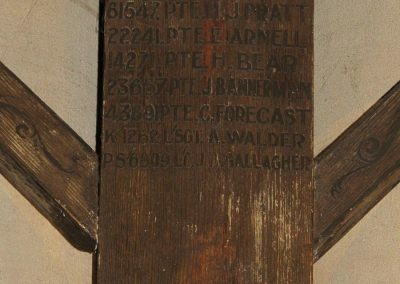 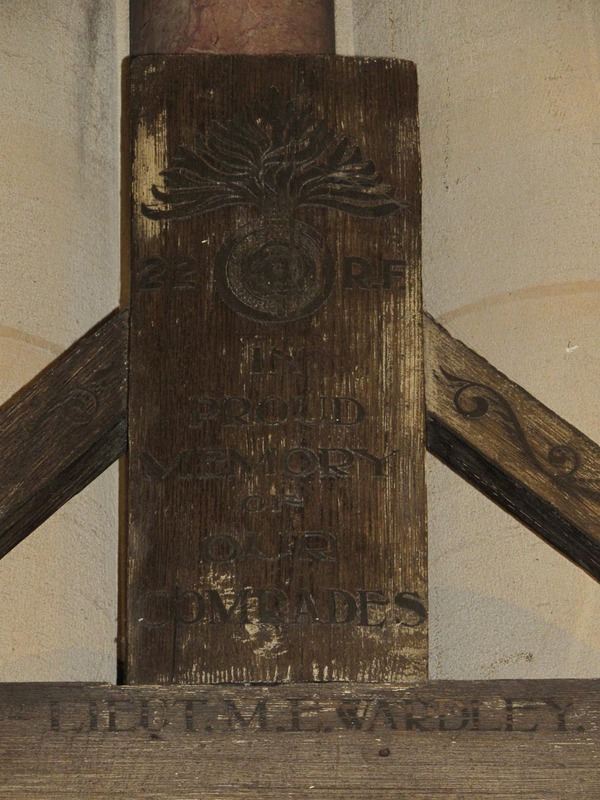 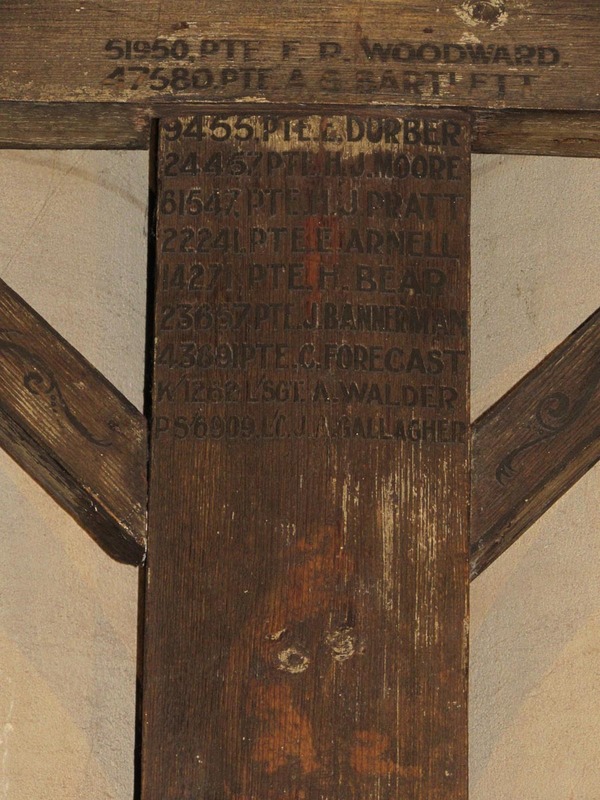 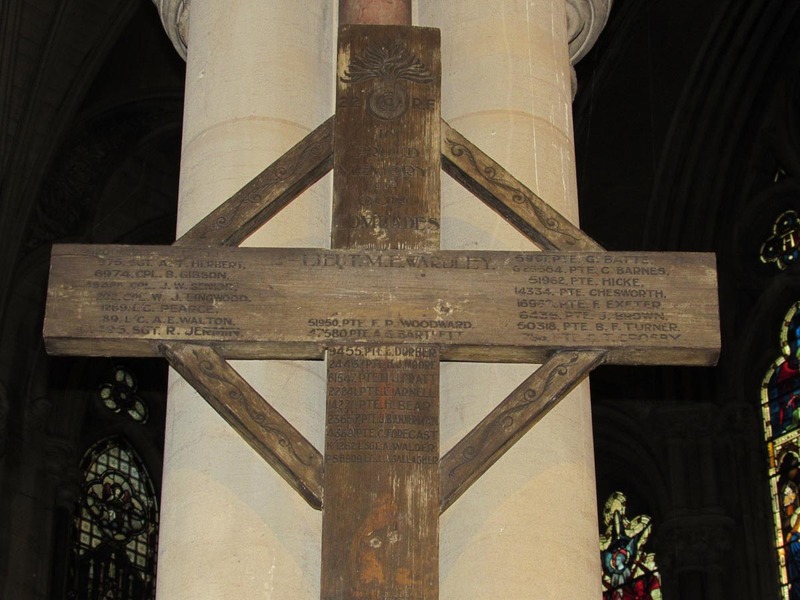 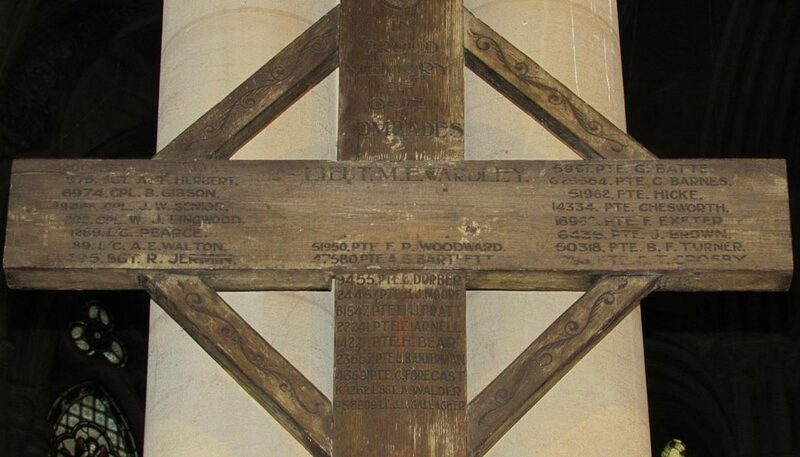 This is a communal cross for the 22nd Royal Fusiliers (Kensingtons), from Oppy Wood, near Arras. 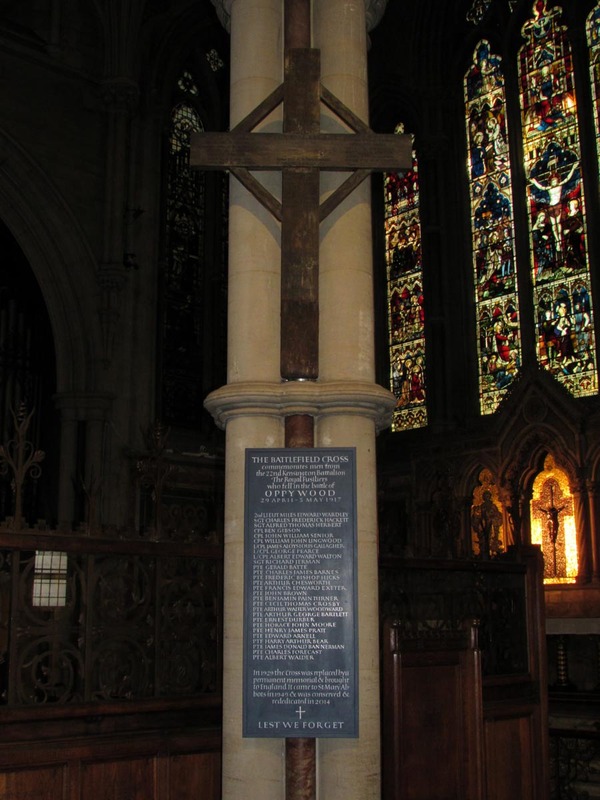 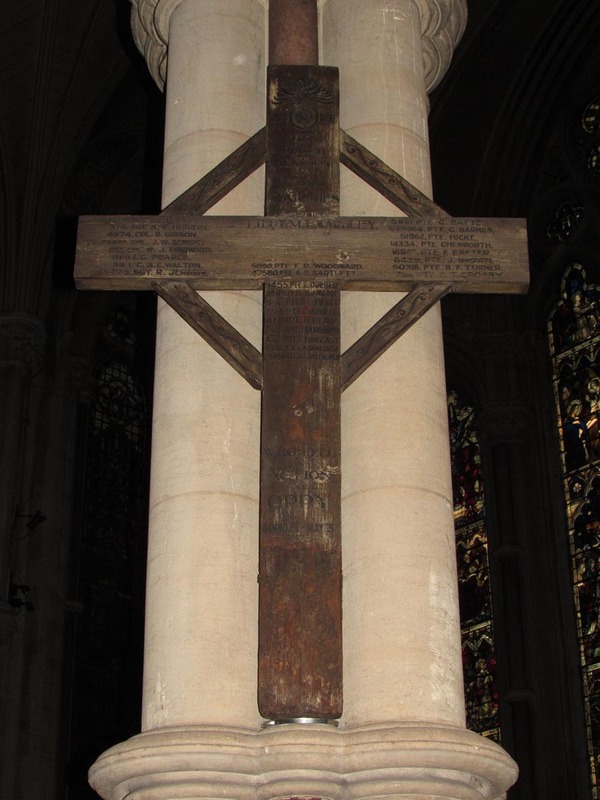 Which gives some background on the cross and the conservation treatments applied. 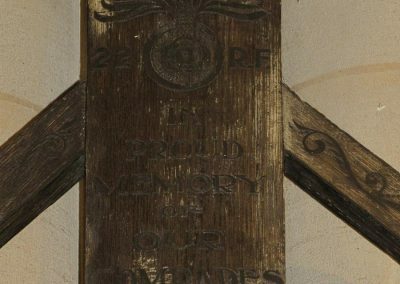 The GRU tags seem to be on the reverse. 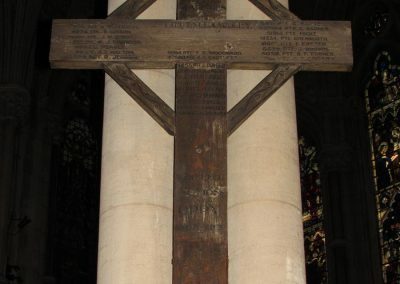 The cross is too high up to get measurements, but it is considerably larger than most of the other crosses that the surveyor had seen. 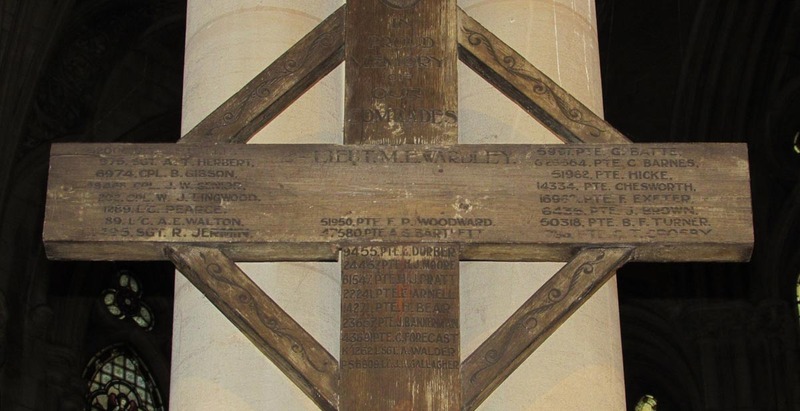 Some names vary between the original field cross and the memorial below.